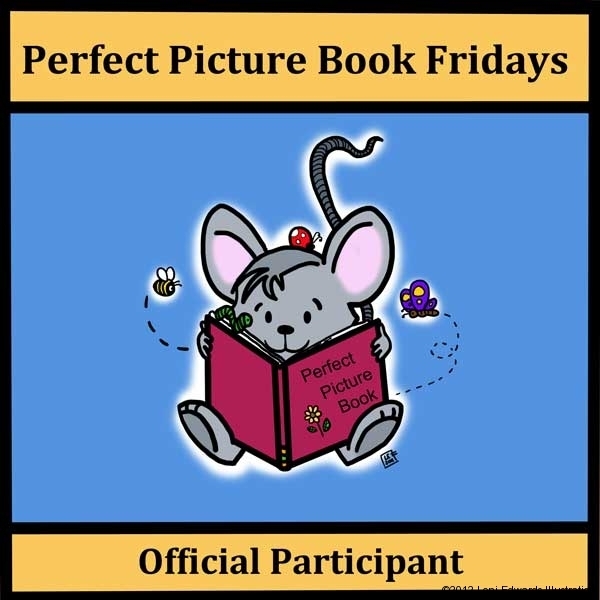 The classic children’s picture book The Very Hungry Caterpillar is my choice for this week’s Perfect Picture Book Friday. One Sunday morning the warm sun came up and – pop! – out of the egg came a tiny and very hungry caterpillar. So starts this journey of the beginning of the life of a caterpillar as he makes or eats his way through the world around him. The clever formatting of the book will make it an instant hit with small children. The illustrative style of Eric Carle is fun and memorable. The use of learning ideas, such as counting, days of the week, as well as the metamorphosis of a butterfly makes this a fun learning resource. The Eric Carle Museum has some fantastic learning resources! Online as well as workshops for those in the area. Discovery Kids Shop has a cool butterfly habitat you can grow and observe the metamorphosis of a caterpillar to a butterfly. Enchanted Learning has a page dedicated to the butterfly including activities and coloring pages to print. kidsbutterfly.org has a whole website to learn about butterflies. Animal Planet.com has a page dedicated to Butterflies and Moths at How Stuff Works. (This would be enjoyable for older children as well). Scholastic.com has a video of Eric Carle creating his caterpillar. Scholastic.com also has a lesson plan. Why I like this book: I love the work of Eric Carle. It is brightly colored, which is always a plus with me, and it is engaging for the children. The simplicity of the text makes it easy for little ones to really understand and grasp what the book is saying. It is a great starter to a conversation and class about butterflies and their life span. This book was read many, many times at our house! Another great thing I found in my research is that it is also available in a pop up book . How fun! Our school library copy of this book is really worn due to so much love! What a lot of wonderful resources too. I would love to go to the Eric Carle Museum. Have you been, Loni? No I haven’t been, but would love to! It looks like a wonderful place. Great pos! Great PPBF! I think I have seen him making his caterpillar at school in our library. I couldn’t believe how big it was! I always imagined it smaller! Hi Erik! Thanks! Yes, isn’t that cool? That’s great Renee! Yes, isn’t that video neat? I like videos like that also. Yes, I noticed that too Susanna 🙂 Thanks for the comment! This book is such a delight. I’m glad we get a mix of classics and new books in PPBF — and I’m VERY glad that The Very Hungry Caterpillar is still readily available. Of course we can’t forget these amazing classics. My kids still love to hear this story at 6 and 9. Yes, some are just timeless aren’t they? I have always loved this book. First I like teaching the idea of transformtion to children. I love the symbolism of butterflies. And, I’ve also used it to talk about death to young children. Beautiful selection. Thank you Patricia! I appreciate your comment. One of my favorites since childhood. Great choice & review Loni. Of course! A true classic–and very deserving of its spot on The Perfect Picture Book Friday List. Great choice, Loni! I love Eric Carle, especially his artwork! Thanks for all the resources. You’re welcome Barbara. Thank you for the comment! I love this book. How great that it’s on the PPBF list now! Yes, Jennifer, I agree. It’s a classic! Just read this book today to my 19 month old. I love that he tries to say “butterfly” at the end. Great review Loni! Oh that is so cool Eric! Thanks for stopping by! Would you believe this book is sitting in our Scholastic Stand in my shop and I have browsed through it a couple of times. Lovely choice Loni, I like the clear design also. We don’t have this book, but do have a DVD of it. I enjoy Eric Carle books too. Oh I bet the DVD is a lot of fun to watch. Thanks for stopping by Stacy! I love the simplicity of the Hungry Catapiller ikkustrations, It wa sone of my kids’ favorites. Love Eric Carle! Thanks for the resources. And, good luck in the 12 x 12 x 12 Challenge. Thank you Sally 🙂 1st month is done – Yay! 11 more to go! LOVE this book – it’s such a classic. Happy 2012 to you Loni! This was Ben’s all time favorite when he was wee. I think between the three boys we’ve gone through four copies, they’ve been loved so much! Great choice, Loni! Thank you for your comment Darshana! Thanks so much for selecting one of the older classics. I was beginning to think everyone was shying away from them. :) Although honestly, I am so grateful to be introduced to a new generation of what will one day be classics in kidlit. I love Eric Carle and read this book to my kindergarten classes when it first came out! I’ve been to the Butterfly Museum in Denver…it was an amazing experience and I would recommend it to everyone who hasn’t been…I know there are butterfly museums in many cities across the country. To have thousands of butterflies winging their way over your head…and some of them landing on your arm…it’s an awesome feeling! Read this book to my kids until it fell apart. Sweet memories.